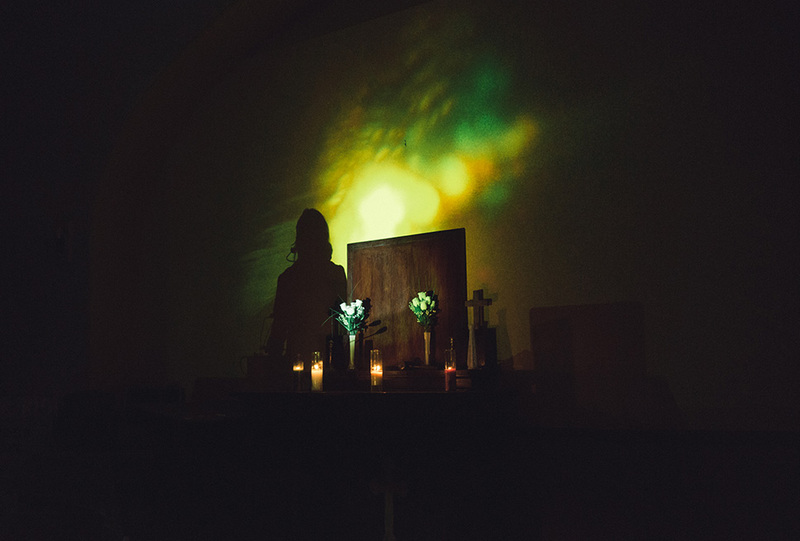 Just under a year ago, Bing & Ruth got the old ensemble back together for one night in New York, to revisit City Lake—the 2010 LP experiencing a second life via reissue on RVNG Intl. 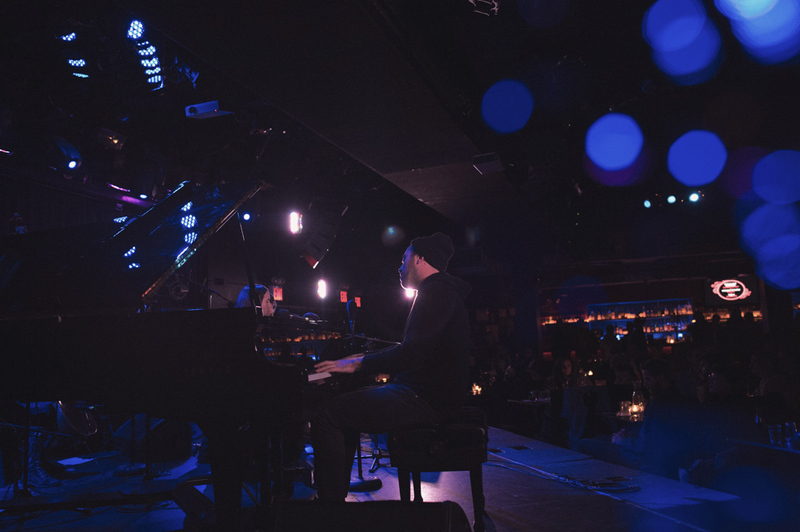 Together with the label and (Le) Poisson Rouge, we were honored to help pull off this reunion. On stage surrounding composer/pianist David Moore was a spread of performers on clarinet, cello, bass, lap steel, tape delay, percussion, and vocals. Most striking, perhaps, was the collective restraint. Each musician waited stoically, meditating ahead of their next movement, be it a nuanced pluck or hum. Every note had purpose. A sublime minimalism, with a mesmerizing, maximal effect, swelling to its climax on the album’s title track. This moment was recorded by Q2 Music, along with the calm that followed on “Broad Channel/A Little Line In A Round Face” and “Here’s What You’re Missin.” All prefaced with a thoughtful series of interviews. Much thanks to Q2 for providing this path back. 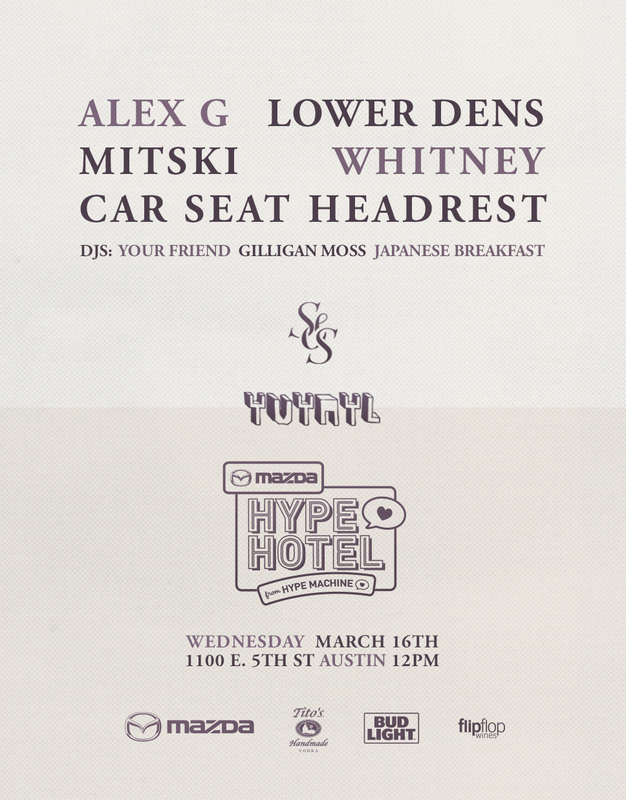 Teaming with yvynyl—someone we’ve looked up to for years—and our Hype Machine family for this daydream showcase in Austin, March 16th, featuring: Lower Dens, Alex G, Mitski, Whitney, Car Seat Headrest, with DJ sets by Your Friend, Gilligan Moss, and Japanese Breakfast. Immense thanks to Mazda + Hype Machine’s Hype Hotel for having us. Be sure to RSVP here, and there’s an FB event here. This is the Fair Market building on E. 5th; doors open at noon. The fall is so kind to bring about the following convergence: Bing & Ruth will celebrate the reissue of their debut LP City Lake on RVNG Intl., with an 11-piece ensemble performance at (Le) Poisson Rouge. 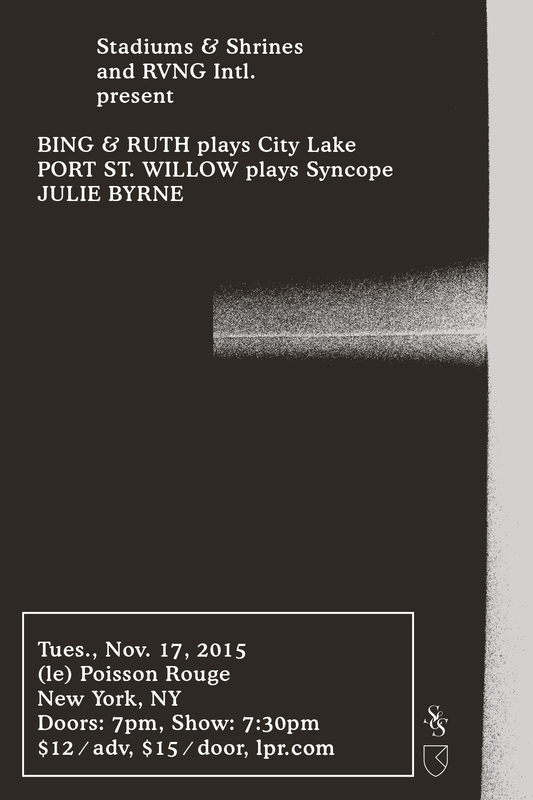 Port St. Willow will mark the release of Syncope (via People Teeth), performing the album in its entirety. Fellow favorite Julie Byrne opens the night. And we couldn’t be happier to present it all alongside RVNG Intl., Tuesday, November 17th. Tickets are available here, and the FB event is here.